There are runners at first and second with nobody out in the top of the 5th. It’s a pivotal half inning, as the defense re-took the lead in the bottom of the fourth, 4-2. The right-handed batter steps in against a soft-left with a good move. The first baseman is holding the runner on at first and the lefty toes the rubber. He has given up back-to-back singles to start the inning but is ahead in the count 1-2. The pitcher gets the sign for a change-up and comes set. After an especially long hold, he delivers. As he releases the ball, he feels the regret right away and knows he’s thrown a mistake. The pitch, which is supposed to be a chase out of the strike-zone floats right down the middle. The batter sees it big and smashes it. Fortunately for the pitcher, he tops the ball and hits a perfect 1 hopper at the third baseman. The third baseman fields the ball on a hop and takes 4 hard steps, touches third, plants off of the bag and throws the ball to first to try to complete the double play. At release on his throw across the diamond, the third baseman gets the same sinking feeling that the pitcher had and he knows he didn’t get enough on his throw. He immediately puts his hands on his knees, watching the play unfold and hoping his first baseman can pick him up. Unfortunately for the third baseman, the errant throw hits the lip of the cutout creating an unexpected hop. The ball stays down and the first baseman’s extended scooping glove goes right over the top of it. The ball goes all the way to the fence and each runner take’s an extra base. Instead of there being two outs, there are now runners on second and third with 1 out and no double play in order. There are two physical mistakes on this play, but we want to focus on the mental side of the third-baseman’s decision making. The failure of the third baseman to make the right decision is what leads to the physical error. Common baseball strategy would question the third baseman’s decision to tag third and make the long throw across the diamond instead of turning a 5-4-3 double play. 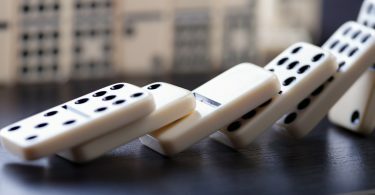 There are several reasons why attempting to turn the double play this way is the wrong choice. Let’s look at them. For starters, the momentum of the batted ball wasn’t taking the third baseman in that direction. That makes the short throw to second very basic and under control. 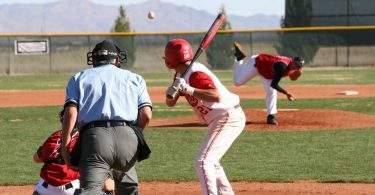 A hard hit ball right at the third baseman is the easiest 5-4-3 double play to turn. Where the ball was hit also makes the throw to first very difficult because the third baseman must run hard to third, taking his momentum away from where he will make an even longer throw. That’s an incredibly difficult thing to do. The play the third baseman makes is practiced far less often than the standard 5-4-3 because it simply doesn’t come up very often. If the ball were to take the third baseman’s momentum toward the bag at third, then the play would be understandable (take a sure out on the lead runner without wasting much extra time). 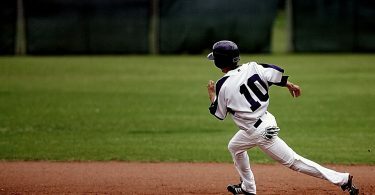 With the runner being held on at first and the left-handed pitcher’s good move, the third baseman can afford to take a rhythm step and gather himself to allow the second baseman time to get to the bag and still not have to worry about the runner at first getting in the second baseman’s way on the slide. Finally, while there is a very slight difference between having a runner at third and a runner at second with two outs. This small difference in run expectancy (.08 expected runs) doesn’t warrant the risk of a more difficult double play turn because most of the time a hit will score the runner from second the same as it would a runner from third anyways. On the rare chance the 5-4-3 is unsuccessful, the double play is still in order with the 1st and 3rd situation and the defense can still get out of the inning unscathed with 1 pitch. As you can see, there are a lot of reasons why this decision was a poor choice and it all has to do with thinking the game ahead of time. 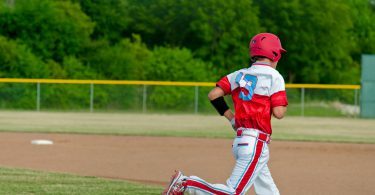 Many coaches will tell a third baseman to turn the double play whichever way it takes them, meaning if the batted ball is already carrying the third baseman towards third, he can go that way. A ball hit at the third baseman goes to second, as we have discussed. Whatever the plan your team uses, you will want to make sure you are thinking through what you will do when the ball comes your way before it’s pitched. 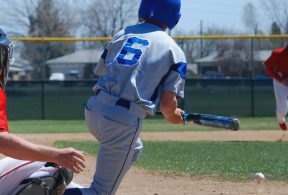 This is one the third baseman wishes he could have back, but luckily for you, you can learn from his mistake without it costing you or your team anything!